Euphoria Telecom allows business customers to make use of a cloud PBX without any internet connectivity. At first, the concept seems counter intuitive as all cloud systems rely on stable, reliable, fixed internet connections such as LTE, fibre or fixed line ADSL. However, Euphoria Telecom has introduced a new way of delivering PBX functionality, without internet connectivity. As customers adopt new ways of doing business, their workforce becomes more ‘mobile’, expecting more flexibility and the ability to work from anywhere at any time. Instead of binding employees to the desk or fixed office locations, Euphoria now allows work calls to be received on the employee’s mobile device. All calls coming into the business’s geographic number can be directed to a digital receptionist or a hunt list. When the PBX needs to connect to an employee, it contacts them directly on their mobile device. This is done by sending the call over the mobile network (GSM) instead of an internet connection. Essentially, all employees’ direct extensions become their mobile numbers, these calls are routed directly to their mobile phones. The employee is still able to manage the call, as if working from an office PBX. This includes functions like being part of a hunt list, access to the business IVR menu and they can also perform attended or blind transfers to colleagues – mobile or office-based. The key advantage is that even once a call has been routed to the employee’s mobile number, they still remain in control of the call i.e. the employee can still transfer the call. 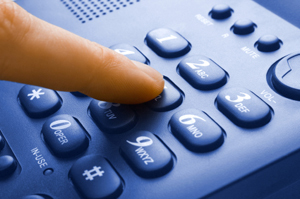 There is a standard cost for connecting a call from the PBX to a mobile number, the cost depends on the business’s current voice rates. However, this is not an additional cost to the business, instead it is replacing one cost with another. 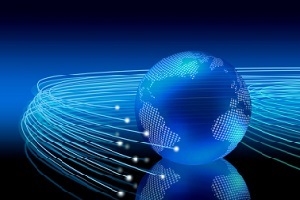 VoIP services require a dedicated internet connection to work, they cannot share an internet connection with other services such as email, video or IM. By replacing the cost of fixed internet connectivity for voice at multiple locations at more than one location, the business is in fact only paying on a per-call basis when a call is routed to the employee’s mobile number and not a monthly fixed cost. For larger organisations, the cost of routing inbound calls to an employee’s mobile extension far outweighs the costs of paying for dedicated internet at several satellite offices, at employee’s homes or the non-financial cost of chaining employees to desks. Using the Euphoria online Telephone Management System (TMS), all inbound call detail reports can be reviewed – giving a business insight into workforce performance and other business intelligence reports. Call detail reports remain part of the PBX features, even over the GSM network. Calls are tracked, can be recorded and the details are stored in the Euphoria cloud TMS. Since all inbound calls are routed through the Euphoria PBX, by using the Euphoria API, businesses can integrate the call detail reports with other business tools such as CRM systems. Euphoria Telecom aims to remove multiple constraints from the SME through its cellular features. Small businesses are mostly 2-10 employees who need both a professional appearance and at the same time the flexibility of being mobile. When small businesses review their operational costs, it makes little sense in this age to invest heavily in expensive office locations, fixed internet lines at multiple locations (work from home employees) or to limit the movements of employees when the main objective is sales and profit focused. This solution massively reduces fixed office and hardware overheads for SME’s, putting money back into the business for more important expenses. For established, larger businesses, Euphoria’s cellular feature is an enabler for smoother operations. Especially when it comes to after-hours support teams working from remote locations, satellite offices or retaining a professional and succinct brand appearance throughout all its satellite offices. These organisations can benefit greatly from Fixed Mobile Convergence (FMC), operating their core PBX from one central head office and still manage inbound call traffic according to their own general practices. Adapting with the changing work environment is a must for any business in this age, being too slow to adopt new technology or make use of the services that make sense, can have major negative financial and operational impacts on a business of any size. Get in touch with Euphoria Telecom – Better Communication for Work.